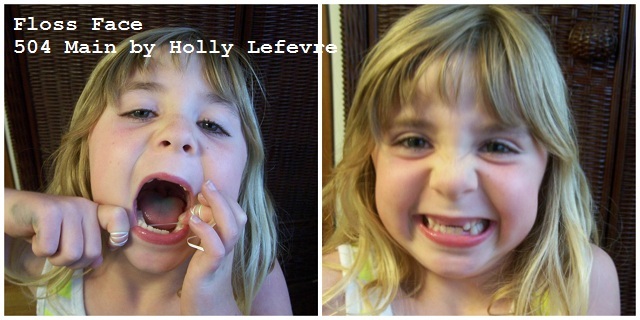 504 Main by Holly Lefevre: Show Me Your Floss Face! This house has many different Floss Faces! First there is the Toothless Floss Face! Then there is my Brace Floss Face! Another desperate attempt to enforce the benefits of oral hygiene on a pre-teen boy. YIKES! 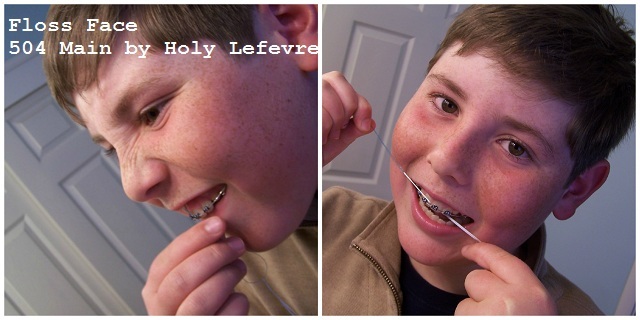 I will not give up...Even if we have to use a crazy contraption to get the floss between the teeth and braces. And, finally...there is me...The Mom Floss Face! My Floss Face is not quite as cute as the other two...but it's all I got! so I better take care of them! Now the confessions...I struggle with flossing...why? I get lazy, I suppose? thinking "what difference could it make?" Well...the floss makes a huge difference. I am super impressed. It truly does glide and it doesn't hurt (the cheap stuff does). really (really) does make flossing so much easier. This may be the answer to our flossing issues (the kiddos fight me on this!). Is clinically proven to help reverse gingivitis in two weeks as part of a comprehensive dental health routine. 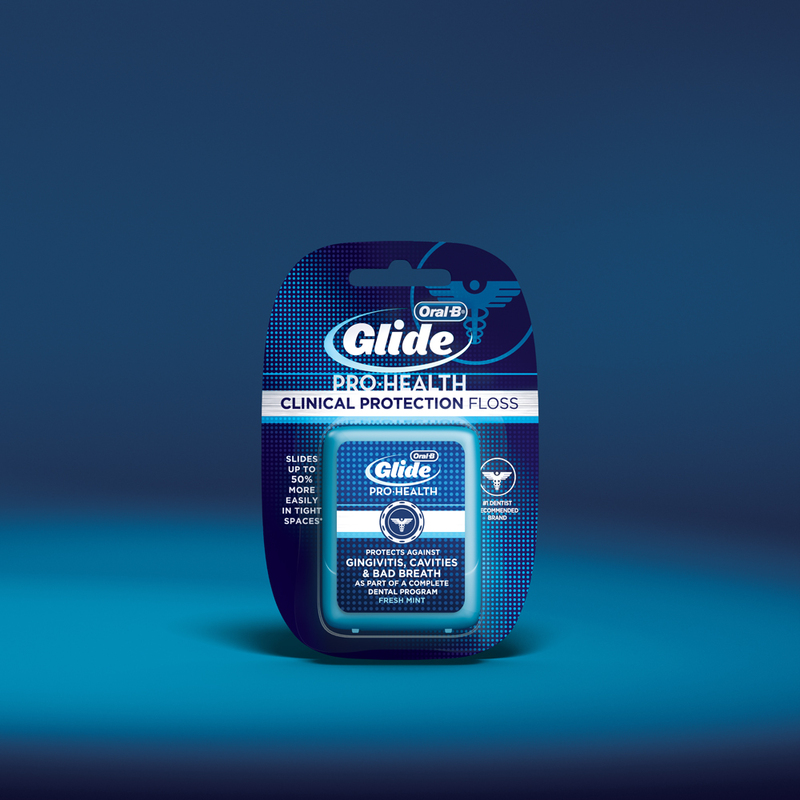 Invigorates gums and provides a minty cool feeling every time you floss. Protects against cavities and bad breath. 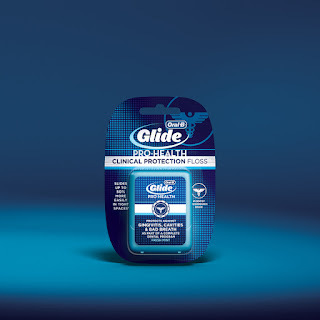 Slides up to 50 percent more easily in tight spaces versus the leading floss. and an Oral-B Cross Action Pro-Health Toothbrush. I have a fresh, clean and sparkly smile right now! Every first-time entrant will receive a tote bag with Glide product, while supplies last (up to 5,000 units). So go on...Floss and Smile! This post is written and created at 504 Main by Holly Lefevre I participated in this sponsored campaign for One2One Network. I received monetary compensation and product to facilitate my post, but all opinions stated are my own. I am a floss fanatic. You're right- the high end floss is miles better. Cute pics!